Nothing is more important than quality. It’s what’s in the bottle that counts. 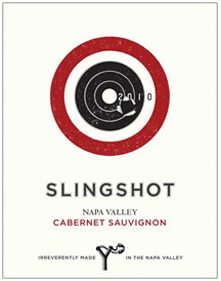 At Slingshot, the singular goal is to bring you a great bottle of Napa Valley wine at a reasonable price. They are not interested in perplexing you. Wine is about enjoying the experience. The attitude borders on irreverent. Slingshot is about putting your best foot forward while forgetting about fitting into the mold or following the rules. Be bold, be adventurous, choose your own path, and above all remember to have fun. That’s what they aim for with every bottle of Slingshot.